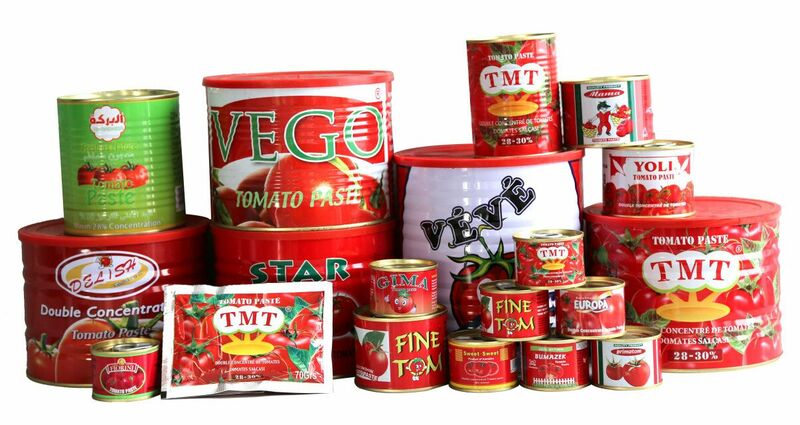 Product categories of Tomato Paste, we are specialized manufacturers from China, Tomato Sauce, Fresh Tomato Paste suppliers/factory, wholesale high-quality products of Canned Tomato Puree R & D and manufacturing, we have the perfect after-sales service and technical support. Look forward to your cooperation! We Hebei Tomato Industry Co., Ltd are specializing in processing Tomato Paste and ketchup for many years. There are 9 production lines and our annual production is 65,000 tons. We can supply you 70g to 4.5kg Canned Tomato Paste. 50g, 56g, 70g flat and standing Sachet Tomato Paste. Drum Tomato Paste is available. Tomato Ketchup in plastic bottle is our new products. They are very popular in the world market. We get SGS, BV, FDA, ISO certificates. Welcome you to visit us! *Related Products:concentrated tomato,tomato ketchup Tomato Sauce.